We love people coming to meet the parents and to visit the puppies. Your visits let us know that you are not spontaneous puppy buyers who don’t understand the commitment of time and patience raising a puppy. Please be sure to make an appointment before traveling to Timber Ridge. Exercising, training, and caring for dogs and horses as well as haying or plowing keep the owner’s minutes full to the brim. Twenty-four hours notice is greatly appreciated. Puppies are $1800. Long-haired fluffy puppies are $2200. Deposits are $400 and non-refundable with exception of accident and/or family tragedy. ongoing counsel on diet and care. Timber Z Timberridge (dob 4-23-11), BH, IPO1, IPO2, IPO3, OFA Fair bred to “Chaka” Chestr sovi mlyn (dob 2/28/16) BH, IPO1, IPO2, OFA Good. This litter will produce short coated sables. Puppies due mid February. Accepting deposits. The Storm Z Timberridge (), IPO3, OFA Fair bred to Daimon Z Tresnaku (5-27-16), BH, OFA 0/0 Czech rating. Puppies ready for visitors mid February. Accepting deposits. Elly z Vozovky (dob 11-28-15), BH, 0/0 Czech rating bred to Daimon Z Tresnaku (5-27-16), BH, OFA 0/0 Czech rating. This litter will produce long-coat sables. Accepting deposits. Venesa z Tresnaku (dob 10-3-14), ZVV1, 0/0 Czech rating bred to Link Z Timberridge (9-6-15), IPO2, OFA Good. 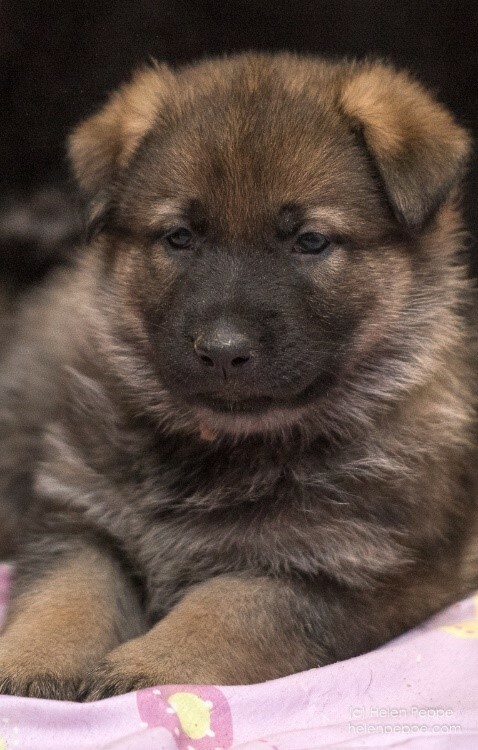 This litter will produce short-coat sables and blacks. Accepting deposits. Mafi, (11-02-11) IPO2, 1/1 Czech rating is bred Link Z Timberridge (7-15-12), IPO1, ZVV1, OFA 0/0 Czech rating. These pups are born and ready for visitors in the end of Feb. Sold. Message or call Doreen at 207-602-8521.
trained in obedience, personal protection, sport, or police work.